Shrimp lightly seasoned with McCormick’s Tomato Basil Seasoning Mix; then fried until golden brown. TGIF! Can you believe it? I actually have an actual seafood recipe to share with you on Seafood Frenzy Friday! 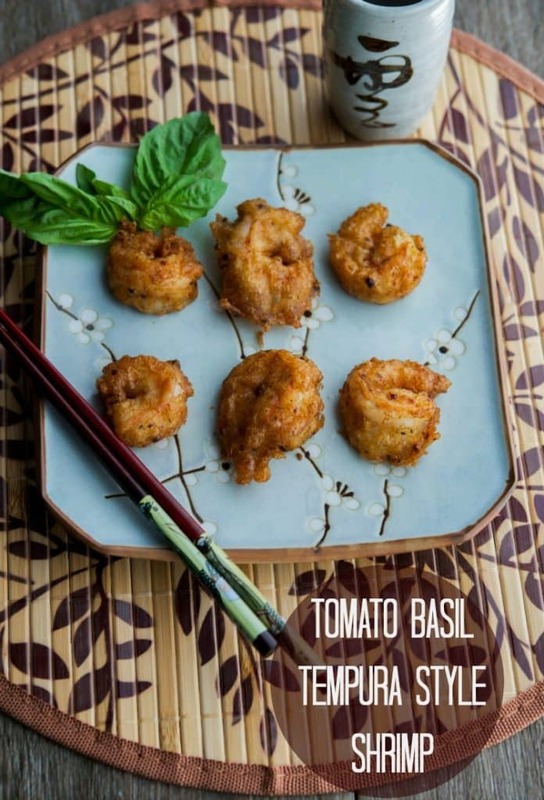 Before I begin with my latest experiment for this Tomato Basil Tempura Style Shrimp, let me share a little information first. 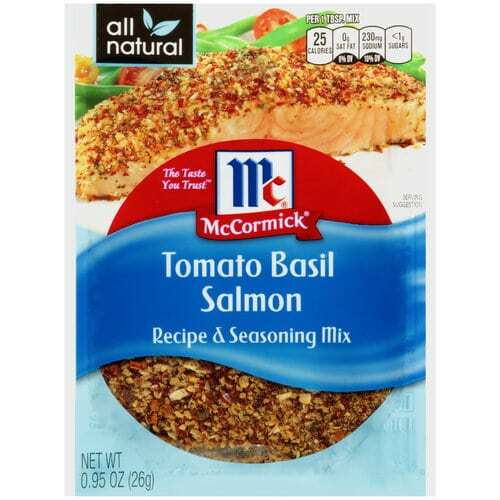 Two Friday’s ago, when I was sharing the latest Seafood Frenzy Friday on my social media, McCormick spices reached out to me to let me know they enjoyed my roundup with all of the wonderful seafood recipes and wanted to send me a special surprise. I just love surprises don’t you? 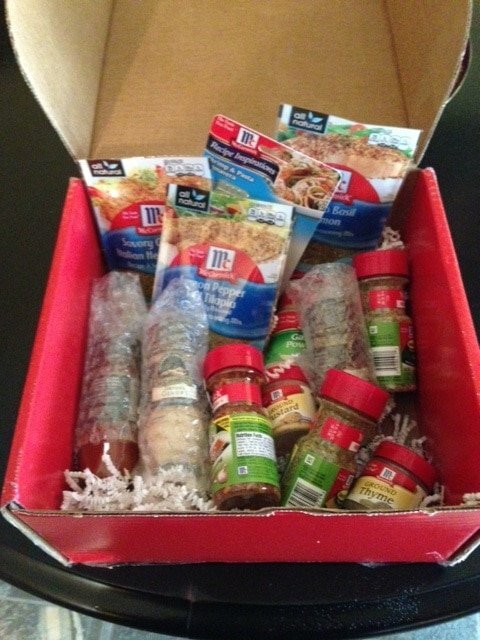 Fast forward to last week and I was greeted with a wonderful box full of McCormick spices including some of their new seasonings to use on seafood dishes. There were so many choices and I wasn’t sure which spice I was going to try first, until I saw the Tomato Basil Salmon Seasoning Mix. It was a given since I love those Mediterranean flavors! The key to making a tempura batter is to keep the batter cold. Start with ice cold water before adding the rest of the ingredients; then keep the batter refrigerated until right before you’re ready to batter and fry. 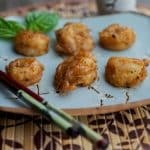 It’s also one of those dishes that have to be eaten ‘hot off the presses’ so to speak or the batter will get soggy and it’s best when you get that crunchy coating when you bite into the shrimp. The entire recipe took less than 20 minutes to make because I opted to use frozen shrimp. I adjusted the time a bit in the directions below to allow for full cleaning and deveining when using fresh shrimp instead; which I’m sure will make this recipe taste even better. 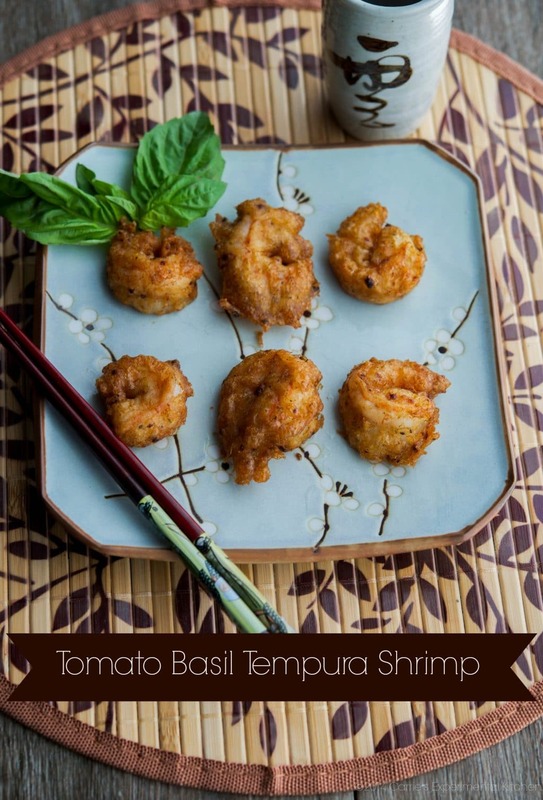 These Tomato Basil Tempura Shrimp would make a wonderful appetizer or serve as a main meal. I served my family this dish as a ‘surf and turf’ with grilled ribeye steak, some green beans and a tossed salad. ~Enjoy! Shrimp lightly seasoned with McCormick's Tomato Basil Seasoning Mix; then fried until golden brown. In a medium sized bowl, add the cold water and egg. Whisk together then add the flour, baking soda and seasoning until well blended. Refrigerate until you are ready to fry. Heat oil in a large nonstick saute pan over medium-high heat until it reaches 350 degrees or when you add a drop of batter to the pan it makes a popping sound. Dry shrimp with paper towels, then dip the shrimp into the tempura batter. Discard any extra batter. 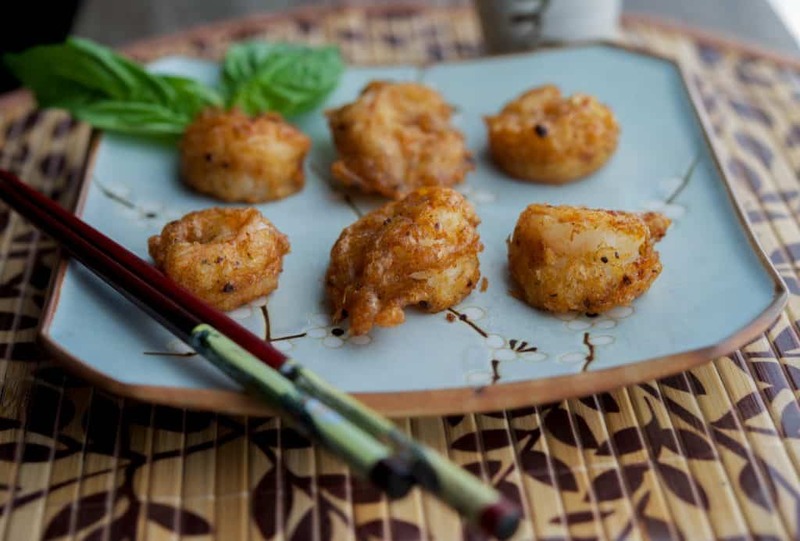 Place the shrimp in pan and fry until golden brown; approximately 1-2 minutes per side. Drain on paper towels. Don’t forget to check out McCormick to get more recipe ideas!